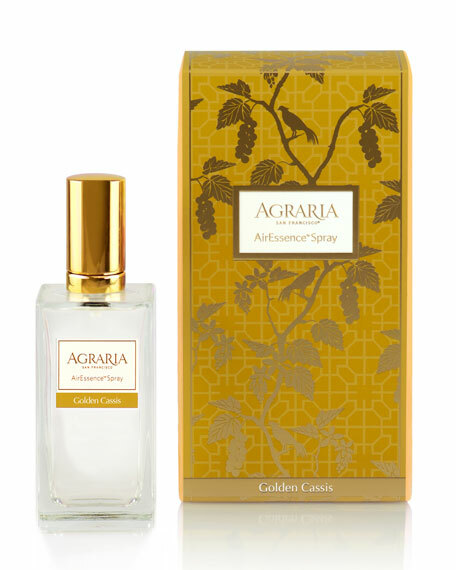 Golden Cassis-fresh oranges and berries mingle with Cassis, Rose, Jasmine and Lily to create this calming contemporary fragrance. But at its heart is Galbanum, an ancient spicy and earthy aroma associated with reducing stress. Sandalwood, warm Amber and White Musk drift through the background. Add an instant burst of fragrance to any room with a spritz of AirEssence Spray. The ideal companion to our PetiteEssence and AirEssence flower diffusers, enjoy them throughout your house in the convenience of a spray.